As I've mentioned before, I'm a big fan of canned tuna. 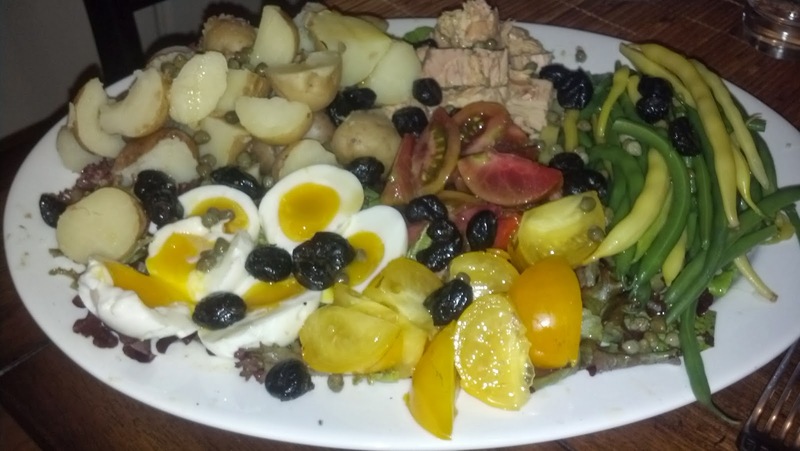 This is probably why I've always liked Salad Nicoise. (Except for the one time when I was at a work lunch and too nervous to pay close attention to what I was eating and accidentally took a bite with nothing but anchovy. Wow! Those little fishes are so strong. It was all I could do not to spit it out in front of my co-workers and our clients. I think that was the last time I ate anything with whole anchovies, although I'll occasionally use them cut or smashed into small pieces to flavor things.) 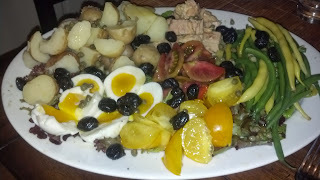 The Salad Nicoise recipe I make is from a Canal House cookbook. 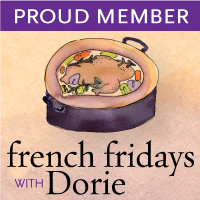 It's very similar to this one and I've always liked the title, "A Nice Nicoise for Next to Nil." If I remember right, that one does not have eggs, an addition that I definitely enjoyed. They may become a new permanent addition in our house. I made this with fresh potatoes, green beans, lettuce, tomatoes, and eggs from our CSA and it was delicious. A perfect end of summer dinner. My only complaint is that we ended up eating at 9 again. I spent the afternoon making X Cookies and watching the Redskins game while Charlotte napped, so the kitchen was a mess and Charlotte was awake and ready to play right about when I wanted to start cooking dinner. Plus, salads always take longer than I expect them to. I always think they'll be quick because there's no real cooking involved, but there's so much prep work. Oh well. It was a delicious, beautiful, and healthy dinner that I know I'll be making again. How lucky that you got almost everything on your CSA box! I agree with you about salads taking a while... it took me almost half an hour to make this dish from start to finish. Salad looks easy but so many components to it! But in the end, its delish! Salads and tacos take foreeeever. Glad you liked this version. Yum - local Salade Niçoise ingredients. Looking good! You're right Jora. Salads always take longer to prepare than I plan on. I guess its all that washing, chopping and mixing of dressing. This one was really good, though and well worth a little effort. Yours looks delicious! 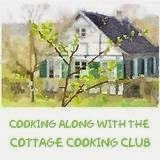 Yes - it is a cruel twist of nature that no cook meals take almost as long as cooked meals. A great looking salad, well worth all the work. We really loved this one. Ah the baby balancing act... I remember it oh so well. Glad you finally got the salad into you. Lots of pieces to cut. haha, the prep work gets me every time too! :) Thank goodness you got to eat before too long though! Jora, one very lovely presentation of this classic French salad - beautifully arranged and worth many repeats, I am sure! It is wonderful to read that you enjoyed this fabulous salad! Have a wonderful Monday! Many hugs to Charlotte!